Hello everyone! It’s been a while.. I haven’t been blogging much lately and the main reason for that is that I’m having a kind of “reading crisis”. I will try to explain it in this month’s wrap up that follows. My reading year started off beautifully. 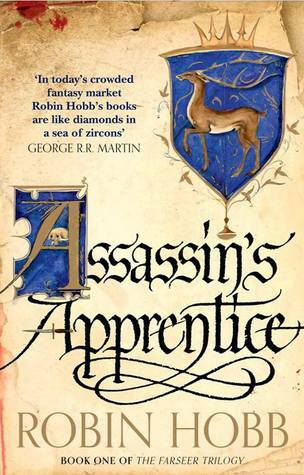 I returned to the Realm of the Elderlings with much anticipation and, hesitantly, picked up Robin Hobb’s debut, Assassin’s Apprentice. In my mind, a novel with a title that has become the salt and pepper of the genre and is also the first book of an author, no matter how much I have enjoyed this author before, is probably more of a failure than a success. Boy, was I surprised! I was hooked from the first chapter. I finished the story of Fitz and I loved it. I loved it so much that I experienced what I guess would be referred to as a “book hangover”. There were many more books waiting to be picked up on my shelves, a whole list of them in an excel file that I was so excited to go through one by one, but suddenly I wasn’t enjoying anything anymore. I didn’t feel like reading this or that or the other. I had to follow my friend Fitz and his story. 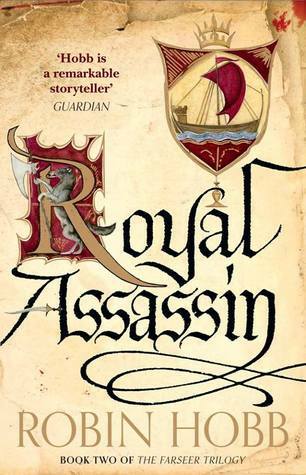 This was my first read for My Year With Robin Hobb. While starting off My Year With Robin Hobb, I also picked up a penguin classic that has been sitting on my shelves for more than a year now. Crossing to Safety was a book that I found in the bookstore, a place where I rarely shop from anymore, and bought because it sounded interesting and like something I might enjoy. This year I had pledged myself to read at least four classics and to read at least 10 books off my TBR shelves, and this fit the bill for both of these conditions. I managed to read about 200 pages of it before I got too underwhelmed. My problem was that I didn’t like any of the four main characters, and while this shouldn’t be a problem for me to enjoy a book, it simply stood in the way of a positive reading experience. I was baffled as to why I couldn’t go on and just finish it. Why the only thing I wanted to do was read about Fitz. Then I realised I was suffering from a book hangover. So I gave up on it. I turned to a tor.com novella that came out this month called The Only Harmless Great Thing. I thought, well maybe I need a short book to get me going. It turned out that was a good idea. This novella was a powerful story of revenge that I greatly enjoyed. 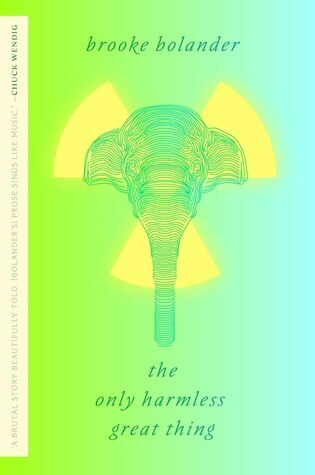 You can read my review of it here: The Only Harmless Great Thing by Brooke Bolander: Novella Review. My second read of the year completed my goal for January of reading one new release of each month. I’ll take it! My next pick was a book for my challenge Pulitzer in the 2010’s. 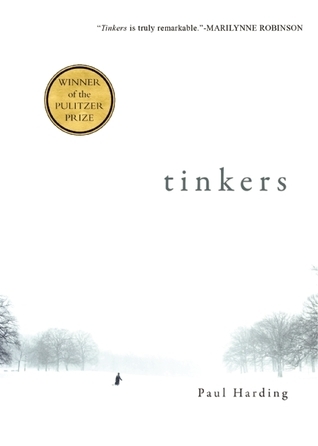 Tinkers by Paul Harding is the winner of the 2010 Pulitzer Prize and the first one I planned on reading. 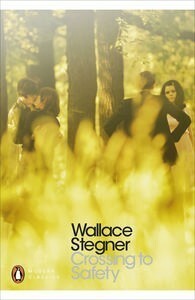 It’s a quite short book, more a novella than a full novel and the premise sounded very interesting. I was fairly sure this would be another successful read. Alas, again, I was not in the mood for it. I was unable to pay attention to the narrative and I just realised the story is not pulling me in. Still, it would be unfair of me to completely give up on the book and get rid of it before I could give it a fair chance so I set it aside for now, promising myself to return to it at another, more fitting time. So, I went back to a book I had begun reading in December. 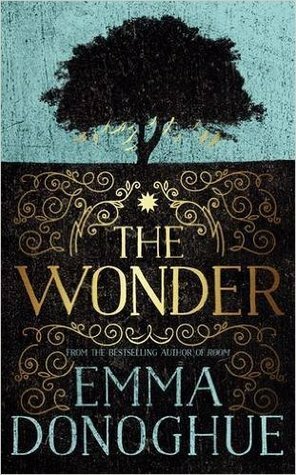 That was The Wonder by Emma Donoghue. I’ve read two books by Emma Donoghue before, Room and The Sealed Letter and while I’ve never completely fallen in love with her writing I have enjoyed her enough to have been interested in her latest novel about a young Irish girl who appears to have been denying any food for four months. I had read almost half of the book in December so I finished it this month with little difficulty. Again, I thought the book was alright but not something extremely well done. My plan for this year was to read one Robin Hobb book and then take a break with another series in between books. After I finished Assassin’s Apprentice, I wanted to start reading The Fifth Season by N. K. Jemisin, a book I’ve been very eager to read for a few years now but was waiting for the whole trilogy to be completed before doing so. I did read about 50 pages of The Fifth Season before I realised I wasn’t giving it a fair chance again. I was just too captivated by Robin Hobb, over whom I am shamelessly fangirling for a whole month now, to care about other characters. 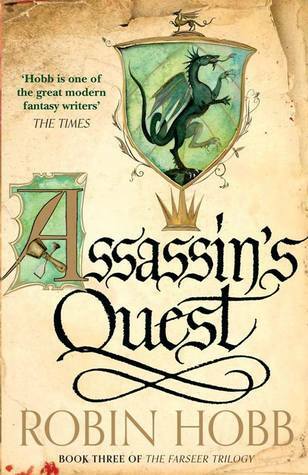 So, I put down The Fifth Season, promising myself to pick it up after finishing the Farseer trilogy, and picked up Royal Assassin instead. And what a wonderful journey it has been. Although, admittedly, not quite as good as the first book. Maybe a case of the second book syndrome? 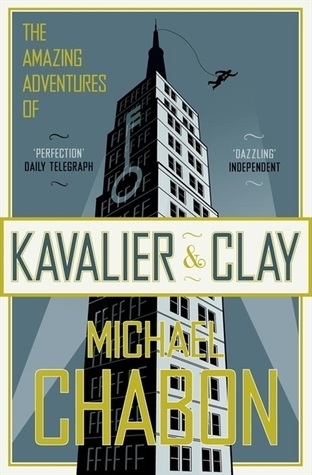 Meanwhile, my next read was the 2001 Pulitzer winner by Michael Chabon, a very well-received novel called The Amazing Adventures of Kavalier & Clay. I was really excited about this one. This was my pick for my Project TBR in which I choose at least 10 books from my shelves that I have been really excited about and make myself read them in 2018. I don’t know if it’s because of Robin Hobb ( I have decided to blame her for everything wrong with books I don’t like!) or because of the book itself but, again, I did not enjoy this as much as I was hoping too. Still, I stuck with it and finished it again with the intention of re-reading it in the future when I feel more into this type of story. You see what I mean with “reading crisis” now? Finally, the last book I finished in January was again a novel I started reading back in the end of November. 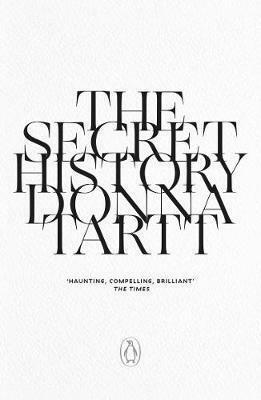 While Donna Tartt is one of my favourite authors, her debut was not quite as good as her next two novels. Still, I read it and it counts as one of my Project TBR books. After finishing The Secret History I made some decisions about this reading year. Basically, I want to give up on the strict goals I have set because they are not really working out for me right now. Instead, I want to pick up books, for the first time ever, according to what I feel like reading next. I haven’t done that since 2015 – I usually work with lists and goals – but you know, we blame Robin Hobb for everything now, so..
You guessed it! How could I have stayed away from these books? There was just no way. Thanks to Robin Hobb I also successfully finished the 24in48 readathon for the first time – I’ve tried twice before but haven’t made the 24 hour mark. I haven’t felt like this for a series since I finished George R R Martin’s books.